As part of our 'Meet The Team' series we ask our sales team what they think is the ultimate hospitality experience for our VIP guests or what they think is the ultimate summer hospitality experience. Next up we have one of our Telesales Executive Keith Hill. I am a Telesales Executive, my role is to help grow our client database, I will look after the new clients once we have them on board and make sure that they have a great time at the event they have booked. I will also look out for any new events we have released to see if our clients will be interested in these. Which of our events would you say you enjoy selling the most? I would say Cheltenham Festival 2018, we have The Green Room over there now which will be hosted by our ambassador Mike Tindall. It’s going to be a great event, as well as the great hospitality we offer in The Green Room you will be able to meet jockeys and the greats of the sport and know that you will be well looked after. What kind of events would you recommend for clients with varied budgets? Certainly for a high end budget I would recommend the rugby at Twickenham, we have all the Autumn Internationals coming up, and we also have the Six Nations 2019 hospitality packages matches with England v Ireland and England v Wales, they are definitely going to be huge games. For more of the low-end budgets I would say the Henley Royal Regatta, I think it will be a really fun day out, for the cost of the event our guests get an incredible amount of hospitality. What summer events do we have coming up that you would recommend? I would say the British Grand Prix at Silverstone, that is always a great event and we have some brilliant hospitality on offer for that. You can view our full range of our hosptiality at Silverstone for more details. 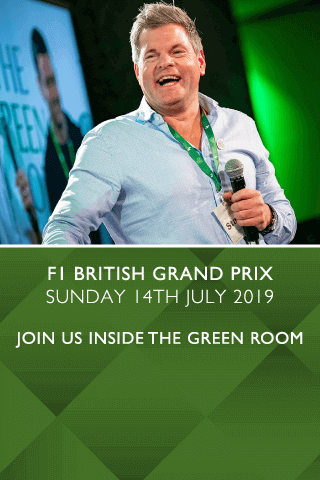 Without a doubt, I would say The Green Room, just due to that fact that it is hosted by some rugby legends including Lawrence Dallaglio and Mike Tindall. A lot of clients love the event and they will come back year after year and it gets booked up pretty far in advance because they know they are going to have such a great day. Do we have any events that you think would offer something a bit different for our clients? Our concerts always offer a different hospitality experience, for example we have Queen and Adam Lambert which is proving really popular. We don’t just have sports hospitality on offer, there are a lot of cultural events that we do too. I would definitely say Cheltenham Festival, I have never been to a horse racing event and that one would be a great experience to start with.